Do you need some ESL teaching ideas, but don't have a lot of money? Check out Teaching English! This book is $0.99 on all the major eBook retailers. I'm giving it to you so you don't have to struggle as much as I did my first year. The ideas are simple, but should get you started on some good ideas of your own. All I ask is that you leave a review if you thought it was helpful. Thanks! Introduction: Keep Them Engaged…or Else! Make Models of Everything…And Save Them! Are you using PowerPoint in your ESL classroom? Get some new ideas with Teaching English! 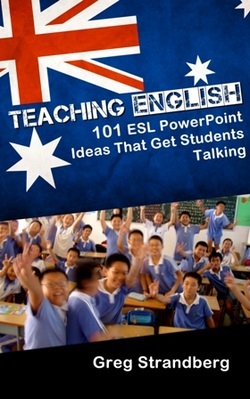 This book profiles 101 different ESL PowerPoints that I used during my time teaching in public schools and training centers. Sometimes I had 50 students, other times just 10. Each time I made these lessons work, and in this book I'll show you how you can too. Need lots of lessons fast? Check out English Rocks! Anyone who buys the book gets all of the following files for free, as well as several you'd have to pay for otherwise. That's 101 different games...enough for a whole year of teaching! Simply buy the book and you'll get the links to download. Have you ever wanted to scream at your ESL students, Please Say Something! It's not the best idea, but I know how you feel. 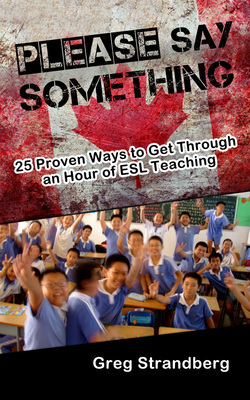 That's why I wrote this book with 25 proven ways to get through an hour of ESL teaching. I've tried them all out myself, and on numerous occasions. They work, and they'll work for you, starting in class today. 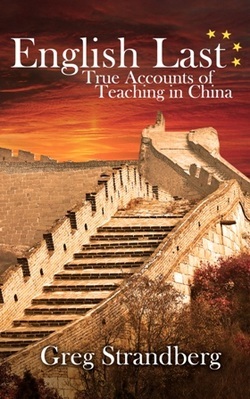 Interested in teaching English in China? Check out English Last! Here you'll find detailed accounts of the living, working and social conditions I found during my 5 years in the Middle Kingdom. I worked in the public schools for CTLC (Center for Teaching and Learning in China), the training centers with EF (English First), and in homes tutoring kids one-one-one. If you're interested in teaching ESL in China you'll learn a lot! Are you thinking of becoming an ESL teacher? Are you finished teaching ESL and ready to head home? Check out Teaching Abroad! 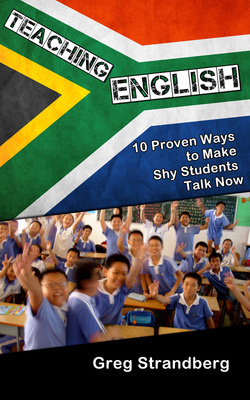 This book details what you'll need to know when you're first getting ready to teach ESL, and also what you need to do when you're on the ground and in the classroom. Teachers heading home from teaching ESL for a year or even longer will find lots of useful advice from an ESL teacher that's done it and survived. Introduction – Why Teach ESL? Running low on ideas and time? Check out Fun English! This book gives you 10 fast and easy ESL games that actually get kids talking, laughing, and having fun. That means you have fewer headaches and spend a whole lot less time talking to yourself. Kids love games, you know this - get these 10 new ones for your classroom collection.